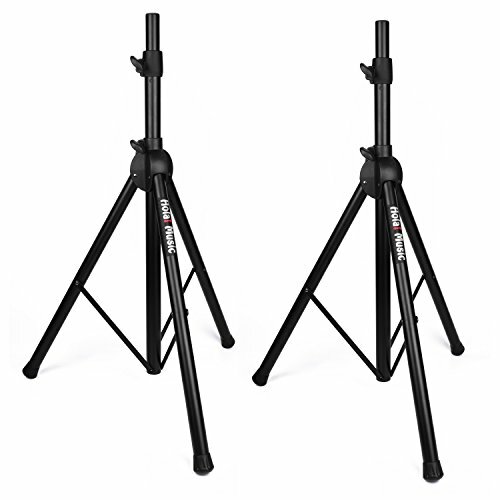 Turn presentations into speeches, meetings into rallies, and jam sessions into concerts with these sturdy tripod stands for your professional-quality speakers. Between the robust metal tubing and the pin securing your speaker at the right height, each stand is capable of carrying up to 120 pounds of speaker, which leaves you with a stage setup capable of putting on any kind of show you can imagine. You can set each of these stands to any height between four feet and six feet. Constructed with Strong Steel Tube. Upper shaft diameter: 35mm/1.375 inch. Safety pin keeps your speaker secure - perfect in the studio or on stage. Adjustable height between 4ft and 6ft. Max. load capacity 120 lbs. If you have any questions about this product by Hola! Music, contact us by completing and submitting the form below. If you are looking for a specif part number, please include it with your message.